One day it just happens. Your computer crashes for the last time, never to be revived. You go out and buy the latest and greatest new one. You unpack it, get it set up, and finally get ready to connect your perfectly good printer. Then the horror strikes! You can’t do it! The printer has a parallel port and your computer doesn’t. Your computer has a bunch of USB ports, and your printer has not a single one. Now what? Get rid of the printer and find a brand new one? Thankfully this little problem is really just a little problem. 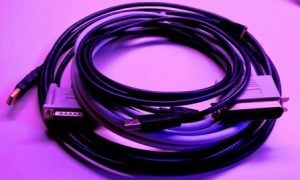 The solution is to buy a USB/parallel converter cable. Based on our experience, these are pretty easy to use. 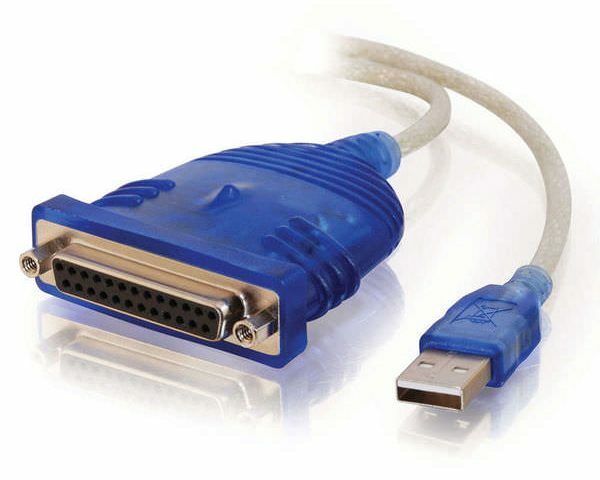 You simply plug the USB/A side of the connector into your computer, and the parallel connector to your printer. The software will automatically install on your computer. If you forget the part about connecting it to your printer, the computer will let you know, so that you can get that done. Of course, it is also a good idea to turn the printer on if you actually want to print something. Once everything is connected and ready to go, you’ll need to do one more thing. Because this type of connection is functionally a USB connection, you will need to be sure to identify the USB port to which the cable is connected. 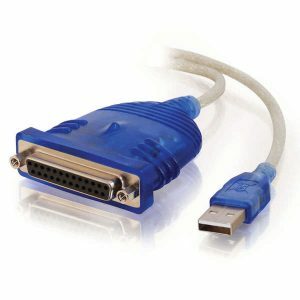 You can check this easily enough in your computer’s Device Manager under Universal Serial Bus Controllers/USB Printing Support. Once you have verified the port number, make sure that your print driver is set to the same port, and then you are all set to print. So there is no need to throw out that old printer. Let it just keep on doing its job until . . . well, you know, one day it will just happen.